Mario Muniz, an NYPD Detective, was shot at close range in the chest by the suspect, but the bullet was stopped by his vest. The last of three law enforcement officers who were injured during a Monday morning shootout in New York City’s West Village is expected to be released from Bellevue Hospital Wednesday. NBC New York reported that New York Police Department (NYPD) Detective Mario Muniz will be released around noon. 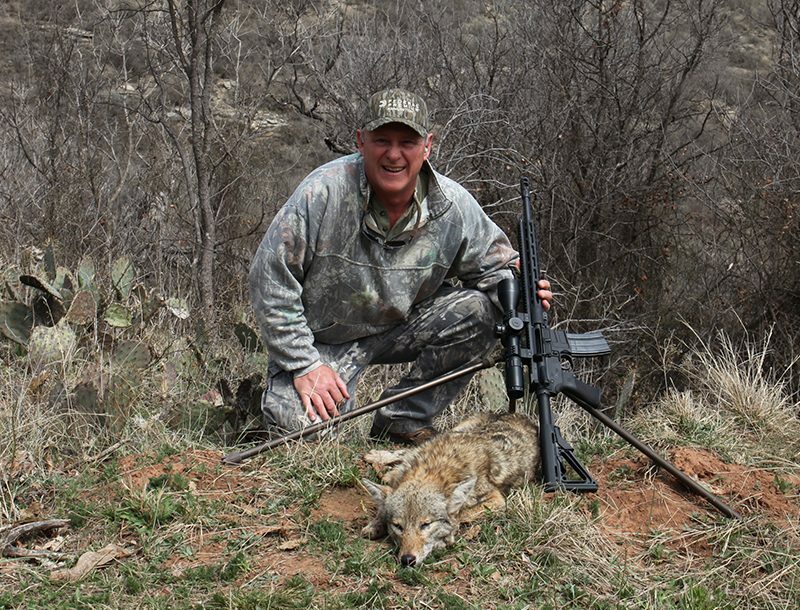 He had been shot twice — once in his abdomen and once in his chest. The bullet aimed at Muniz’s chest was stopped by a bulletproof vest. Two U.S. Marshals were shot alongside Muniz — one agent was shot in the elbow and the other in the leg. Both were released Tuesday from Bellevue Hospital. The suspect in the shootout, identified as 32-year-old Charles Mozdir, was killed by the officers. Police Commissioner William Bratton said during a Monday press conference that Muniz’s live was more than likely saved by his bulletproof vest. 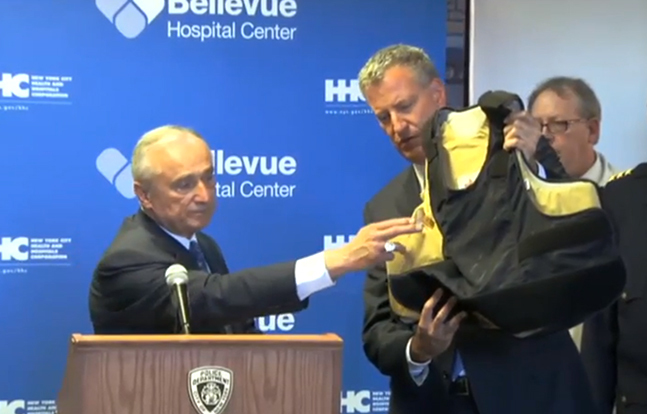 Both Bratton and Mayor Bill de Blasio praised the NYPD’s vests for their important role during the shootout. Watch Monday’s press conference below. The conference begins at 22 minutes in. 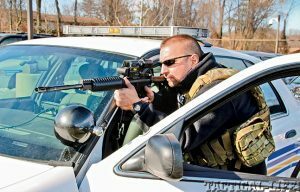 American Tactical Omni Hybrid patrol carbine combines accuracy and affordability for complete package.